‘Boys Don’t Cry’ Director Kimberly Peirce In Talks To Direct Remake of Stephen King’s ‘Carrie’!!! Director, Kimberly Peirce is currently in talks to helm the remake of Stephen King’s ‘Carrie’ for MGM/Screen Gems. Peirce directed ‘Boys Don’t Cry’ and ‘Stop Loss’. ‘Carrie’ is a novel by Stephen King which was turned into a film in the late 1970s starring John Travolta, Amy Irving, Piper Laurie, and Sissy Spacek as Carrie. ‘Carrie’ tells the story of a teenage girl with telekinetic powers who when is bullied to far at her prom, she wreaks havoc with her powers on her fellow students. The film is being written by Roberto Aguirre-Sacasa whose only credits seem to be Glee and Big Love. Add to that a rewrite to the Spiderman Broadway musical. So this would be the first big screen film for Roberto Aguirre-Sacasa. 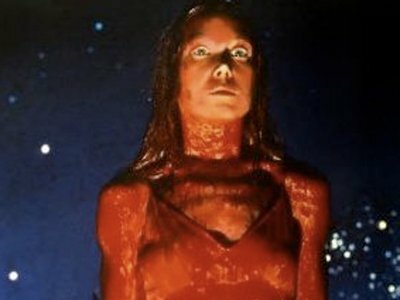 Aguirre-Sacasa set out to write a version of Carrie that is more faithful to the King book, and more grounded than the Brian De Palma-directed film. Not sure why there would be a remake with this really, unless they just want to update the times, but this movie still holds up very well. I’m interested to see the casting for this. Your thoughts? Get To LA For A ‘Carrie’ Prom Themed Fundraiser!!! MGM Offers Iconic ‘Carrie’ Role to Chloe Moretz!!! This entry was posted on Wednesday, January 4th, 2012 at 7:34 pm	and is filed under News. You can follow any responses to this entry through the RSS 2.0 feed. You can skip to the end and leave a response. Pinging is currently not allowed. « Brandon Flowers Confirms New Killers Album in 2012!!! !